Uttarakhand or Uttaranchal is known for two popular cuisines – The Garhwali and the Kumaoni cuisine. I found a lot of interesting recipes, and in fact, it was challenging to pick one. 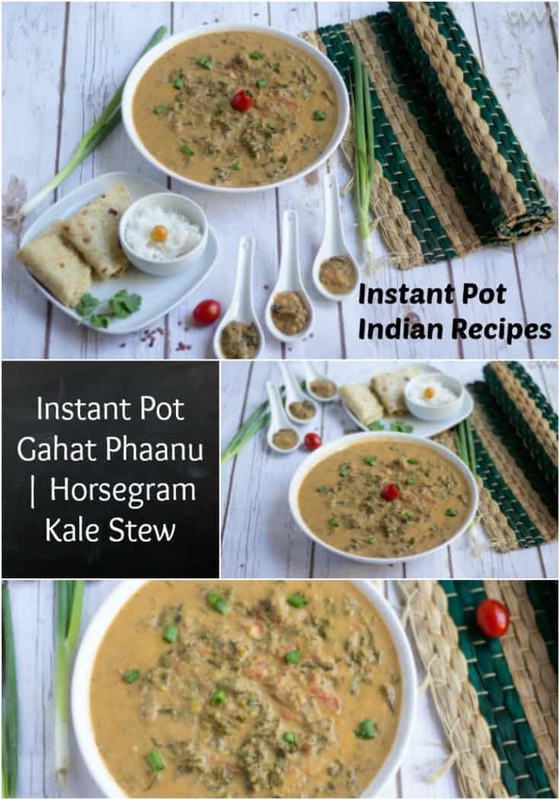 What I found was, horse gram or Gahat is widely used in the Garhwali cuisine. Be it in dal, or stuffed paratha or this phaanu horse gram plays a significant role. As I was searching for the recipe, once again I landed upon this video. It’s the village style Gahat phanu recipe. I was fascinated with that traditional method. The use of mortal pestle took me back to the Periyakulam days. (Ammi as we say in Tamil) I decided to go with that recipe and instead of mustard greens I used Kale. I need to agree that I used a large quantity of kale for this proportion. It was slightly on the bitter side, and vaandu was not relishing much. I would recommend using either baby kale or go with 1.5 cups of chopped kale. I was planning to take a video of this recipe, but it didn’t work out as planned. Amidst that chaos, I missed few stepwise pictures. This is one keeper recipe for sure. I will update the pictures soon. Here comes the traditional Garhwali Gahat ki Phanu. 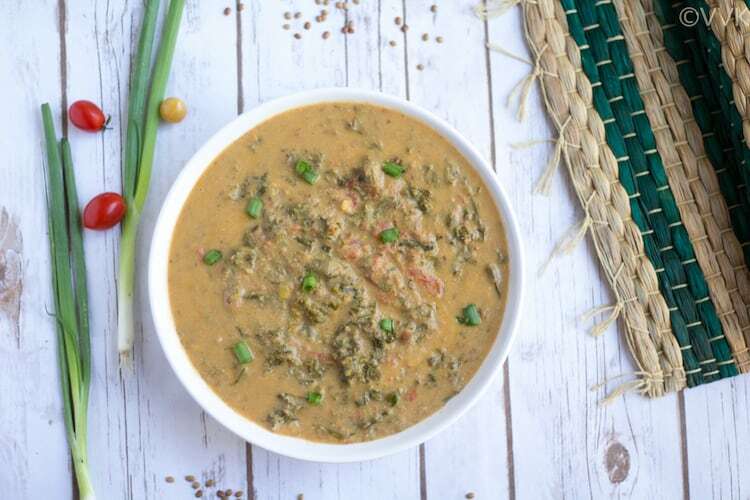 A popular Garhwali lentil recipe, Gahat ki Phanu prepared with horse gram and kale/mustard greens. 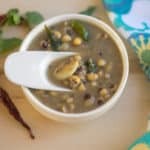 Soak the horse gram dal for at least 8 hours. I soaked it for about 10 hours. After 8 hours drain the water and grind it along with one garlic clove into a coarse paste by adding water. I used about ½ cup of water. Chop the kale, tomatoes and green onions and set aside. 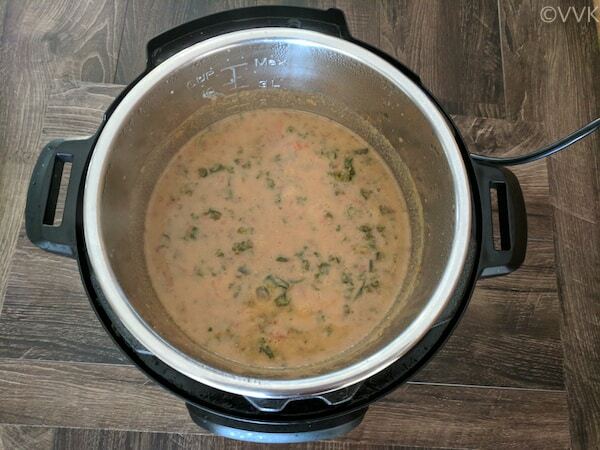 As this recipe doesn’t involve pressure cooking, I am going to combine the stove top and instant pot method. If using IP, set it to sauté mode and add oil. If using stove top method, heat a heavy bottom vessel and add oil. When the oil is hot, add the cumin seeds. As it starts to splutter, add the tomatoes and cook for a minute. Then add the chopped kale, green onions and all the dry masalas – turmeric powder, red chili powder, coriander powder and salt too. Mix them all and cover and cook for 5 minutes. For my IP, I used the glass lid for covering. You use the IP lid too and use steam mode. But I just went with regular cover and cooking method. Once the kale has shrunken, add the ground horse gram dal paste and 2 cups of water. Mix them and let it simmer on low flame for 5 minutes. Make sure you stir the dal for every one minute to avoid the dal browning up. After 3 to 4 minutes, add the remaining water and cilantro. Bring it to one boil and turn of the heat. That’s it. Gahat ki phaanu is ready. Serve hot with rice. The original recipe calls mustard greens. If you can source them, please go for that. Also as I mentioned above, if you are using kale, use about 1 to 1.5 cups. The dal thickens fast so cook over a low flame and add water according to your consistency preference. I used four cups of water totally for this. The dal was semi thick. If you like garlic flavor, you can add three to five for this recipe. This stew recipe looks so comforting and tasty. An interesting stew. It’s definitely healthy and your post is so informative about the cuisine in Uttarakhand. 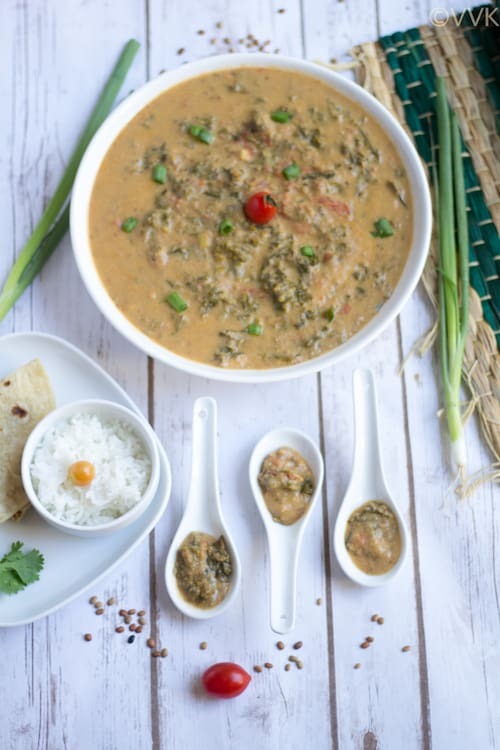 Gharwali horsegram stew looks so comforting. 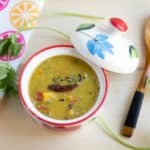 I love that ground paste, and hats off for doing so many varieties of dal recipes. 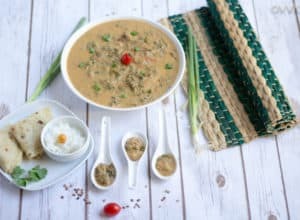 How come you come with unique dishes and looks like you are hunting for some delightful regional dishes Vidhya, this gahat phaanu looks absolutely nutritious with beautiful colour. I remember this when I did Indian States my version was slightly different. Bookmarking this one. 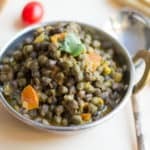 Gahat Phaanu is a delicious daal , we loved it when I made from one of the Marathons , though I did not use any kale or spinach . 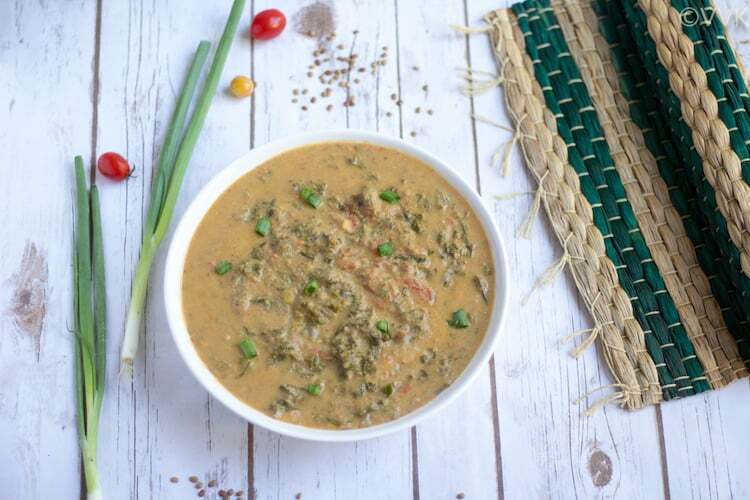 Gahat is very rich in protein and is one of the typical pahari daals , great pick Vidhya. Oh that ground paste surely sounds so different..kudos to your son for trying out all these dishes, must really appreciate!